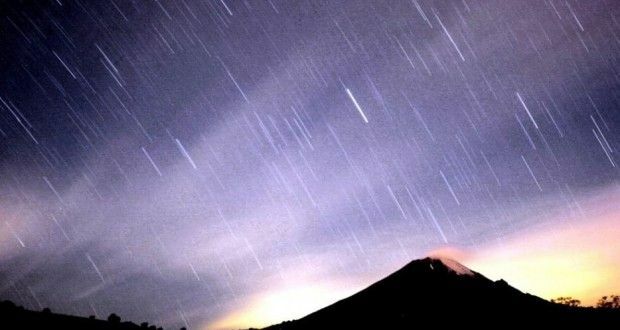 Although during the winter low temperatures in thermometers make the nocturnal observations’ sessions more difficult to bear, Romanian stars’ enthusiasts will be pleased to learn that they can finish 2014 with a spectacular meteor shower: the Geminids, at maximum intensity on December 14. The Geminids represent one of the best opportunities for the “rain of stars’” fans, because they start early, around 9-10 pm and can reach 120 shooting stars per hour when having good conditions of observation. The nights of December 13/14 and 14/15 are suitable for observing this rare phenomenon. In order to observe the meteors a dark place is needed, preferably outside the city whose artificial lights hinder the observation. There will also be a natural enemy. Although the full moon occurred on December 6, its light will reduce the visibility especially after midnight, when the moon, lit at a rate of 54 per cent, will be close to the border between the Leo and Virgo constellations. To get more chances for observations, it is recommended to watch the phenomenon especially in the first half of Saturday night. Although popularly called “shooting stars”, actually the Geminids are not stars. They are dust particles which when entering the atmosphere force the air to emit light (ionization). A dust particle from the actual current enters the atmosphere at a speed of 35 km/s, while the Leonids (visible in November) have a speed of 71 km/s and the Perseids (visible in August) 59 km/s. In order to observe the Geminids one can look in any direction of the sky, but not near the horizon, according to a LaStele.ro release.